Originally established in 1986, Capix Limited is the UK partner for Austrian based manufacturer Colenta Labortechnik. Colenta is the acknowledged World leader in the supply of roller transport film and paper processing machines used throughout the Imaging industries - including Industrial & Medical X-Ray, PCB, Photo, & Graphic Arts. Colenta is also able to collaborate, design and build bespoke processing equipment for specific customer applications. As well as supplying turnkey processing solutions, Capix also provide high level service and support, for not only Colenta, but for Tecnolab and Kreonite processing equipment and Cruse Large Format Scanners. Capix is focussed on suppling both high quality equipment and on-going reactive service support to our customers, who include Blue Chip Industrial Companies, Universities, Government Agencies and Independents. 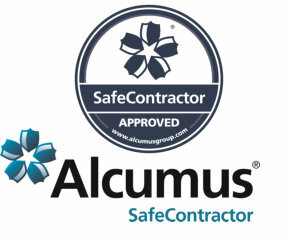 Capix Ltd is an accredited Safe Contractor with Alcumus, regarded as one of the UK’s leading health and safety accreditation schemes. Capix is serious about taking responsibility for its legal and health and safety requirements whilst working on client sites. Our recent integration with Metafix (UK) Limited enables us to offer additional products and services and expand our capabilities.